There are many workshops on knots available to re-enactors at events, but I often find they explore many types of fascinating knots without people really learning anything they can remember and apply later. So, when I came to formulate an hour of knot instruction, I pared it down to just 5 very simple knots, based on how much I wish members of our own camp knew them. This fits neatly on a double sided handout to take away for later reference. For further exploration, I can highly recommend ‘Handy Knots for Reenactors’ by Alasdair Muckart/William de Wyke, which I will link when it is available online. In the meantime, I encourage you to bother him for a copy (william@wherearetheelves.net) until he publishes the handout or asks me to desist. 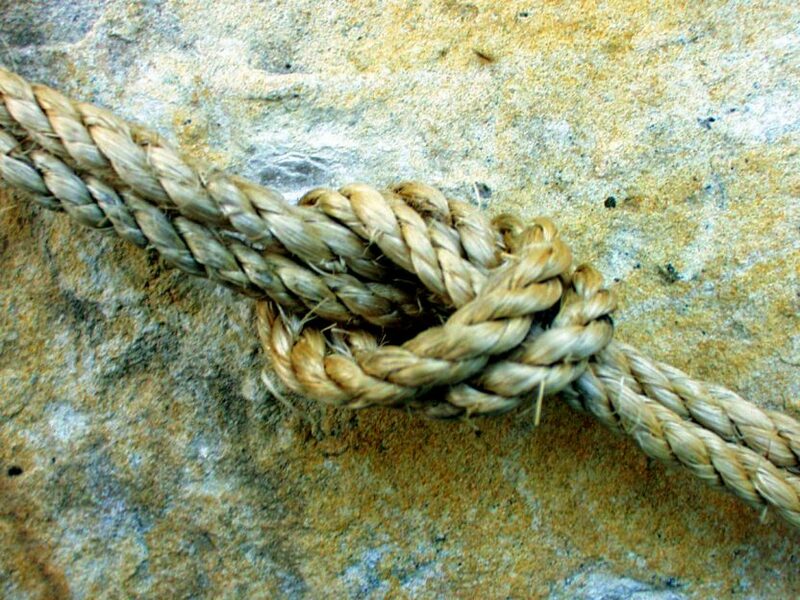 Another great online reference is Grog’s Animated Knots, where you can learn a great many knots with clear animated examples.